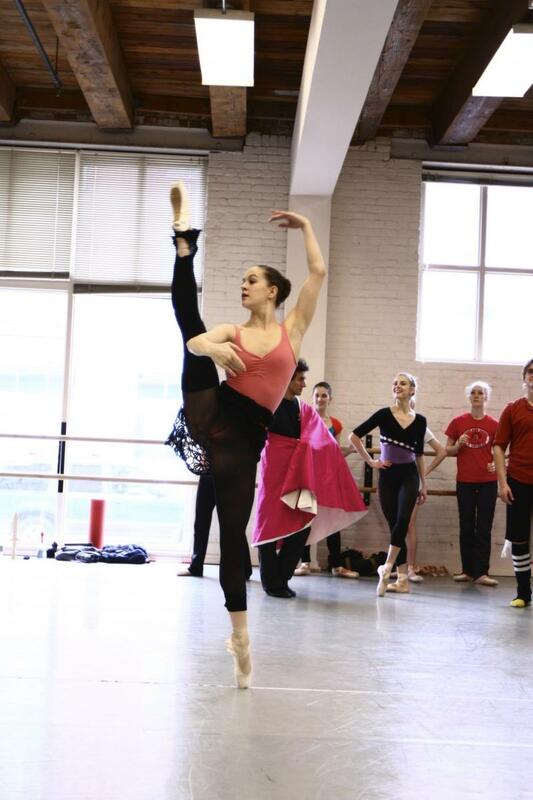 Adrienne Kerr performs as "Kitri" in the ballet Don Quixote. 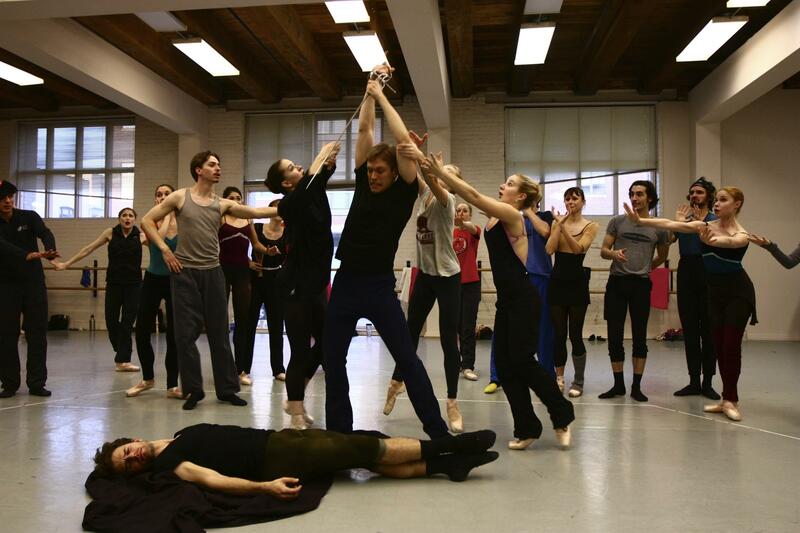 Lead dancers Adrienne Kerr and Andrew Taft rehearse Don Quixote. The ballet Don Quixote is full of flashy, gravity defying movements. Toward the end of Don Quixote, there's an attempt to end this love story but be ready for a surprise twist. Adrienne Kerr has been with Ballet Idaho for five seasons. She started with the company when she was 17. Now she's preparing to dance one of her biggest roles yet. That's when you meet Camacho. The rich nobleman wants Kitri's hand in marriage but Kitri, of course, wants nothing to do with Camacho. What unfolds is a comic tale, that Friday night, that ended with the audience on their feet. You can see Don Quixote again tonight. The program opens with a modern interpretation on the tragic and dark tale of Carmen, choreographed by the company's balletmaster Alex Ossadnik. You can hear the lead dancers talk about performing their first "Don Q," as it's known in the ballet world by clicking on the play button above. Then, hear Ballet Idaho's artistic director Peter Anastos talk about his first time seeing the Don Quixote ballet in the early 1970s in Russia. He'll also explain why the role of Don Quixote has become smaller and smaller. Ballet Idaho's Artistic Director Peter Anastos talks with Sadie Babits about Don Quixote. Boise composer Jim Cockey’s newest work debuts tonight in Nampa. Sacred Land is a tribute to the Shoshone-Bannock tribes. Their history, from before settlers arrived in the Treasure Valley to the forced relocation of the tribes to the Fort Hall Reservation in Eastern Idaho in 1869, unfolds through the music. The Russian ballet Firebird is a fairy tale built around a magical bird, a brave prince, a beautiful princess, and monsters. Tonight Ballet Idaho performs Firebird in Boise. Peter Anastos is the company’s artistic director. He told Sadie Babits he’s wanted to choreograph this ballet for some time. He calls composer Igor Stravinsky’s music for this ballet “a huge giant 20th century landmark score.” Anastos explains why that is.